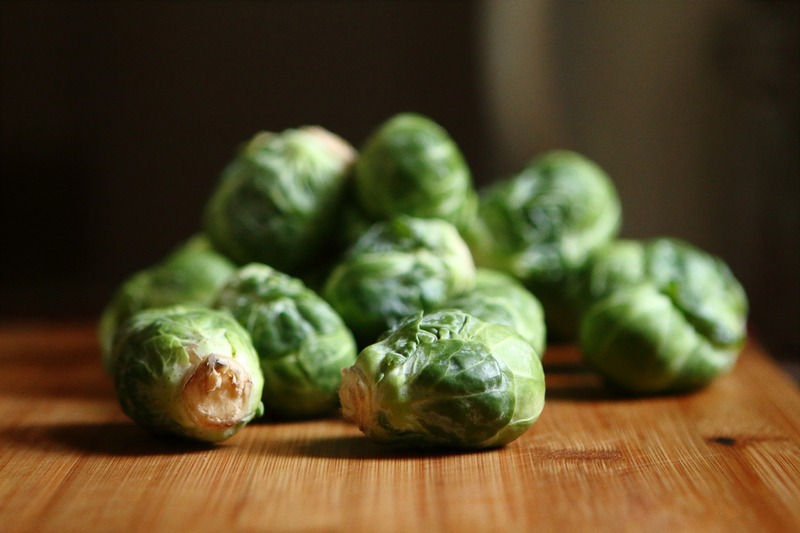 Brussels sprouts have a serious PR problem. It used to be popular to steam Brussels sprouts, a technique which leaves them somewhat bland and soggy much to the dismay of children everywhere. However, when roasted in the oven with a splash of olive oil, salt, and pepper, Brussels sprouts are elevated to a treasured side dish for any meal or holiday feast. Even if your kids still don’t like them, it just leaves more for you. Rinse Brussels sprouts. Trim off ends, remove any discolored layers, and slice in half. Place in a large bowl. 3 tablespoons olive oil – Try our Garlic Olive Oil! Pour olive oil, water, salt, and pepper on top of sliced Brussels sprouts. Toss to coat evenly. Place Brussels sprouts in a single layer on a large, rimmed baking sheet. Cover with aluminum foil and roast at 500°F for 10 minutes. Remove aluminum foil and return to oven. Bake until Brussels sprouts are browned (aka starting to caramelize! ), about 10 additional minutes. Remove from oven and transfer to a serving dish. Recipe taken from MakeBetterFood.com under the Creative Commons License.